In a recent email it was mentioned that your Rear Commodore, Sharon Bell, was retiring her post. 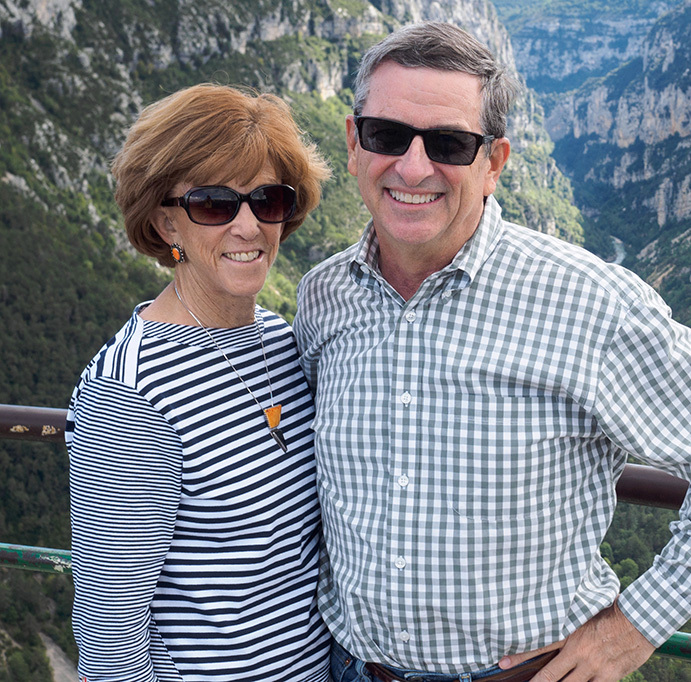 While we all know her as “Sharon,” Dr. Bell is a clinical psychologist and she decided to dedicate more time to her patients and her philanthropic efforts. I want to take a moment to thank her for all her contributions for the year and a quarter she held the post. Under her tenure as Rear Commodore, the AYC featured speakers like Gary Jobson, North U founder Bill Gladstone, J-Boats president Jeff Johnstone, Oracle USA Tactician Andrew Campbell, Tom White of The Moorings, and John Jourdane the author of “Modern Weather for Sailors.” Of course no one does all this alone. Maryellen Ferring was on Sharon’s team and was also instrumental in all of the planning as well. Sharon will be missed! Our new Rear Commodore is Joshua McClain. 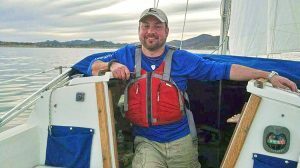 He has been around sailing for a long time with his father but started down his personal sailing journey when he and his wife, Heather (your Cruising Fleet Captain,) took the Adult Beginning Sailing Class right here from the ASF. With their daughter Emma, they sail as a family often and just got back from a 10 day BVI trip this summer. I know Josh will put everything he has into the job and I look forward to working with him for the rest of this Board Year! The polls are open for members to vote for the next AYC Board of Directors. You’ve received a link to online voting by email and it should take only a couple minutes for you to vote. When you log in to vote, the system will ask for your information from the AYC member files: your email and your last name. You can vote for the nominated slate of officers or write in the name of a person. Here’s the rundown. Several of the current officers declined to run this time, so you’ll find some new and some familiar names on the list. Commodore: Mike Ferring. Yes, for the third time this guy is running for Commodore. Mike was Commodore in 2006-2007 and 2012-2013. 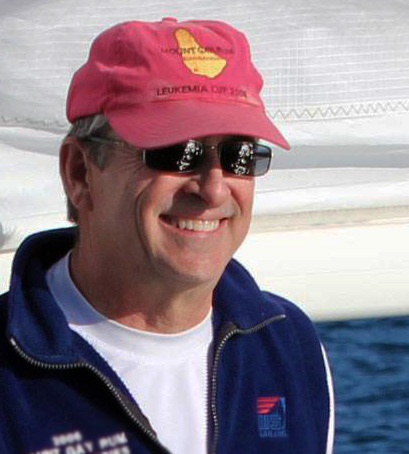 He’s AYC’s Webmaster, ASF Board Member, Fleet Captain of the Sportboat Fleet, and races a 14.2 and J/80. Vice Commodore: Mike Bernard. 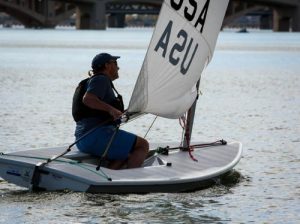 TTL racers recognize Mike as a die-hard Laser sailor. Mike’s retired from Intel. Rear Commodore: Peter Burgard. Ask Peter to rattle off the list of boats in his personal fleet. Peter lives in Tucson, retired after 20+ years in purchasing at UA and another 11 with Amphitheater Schools. 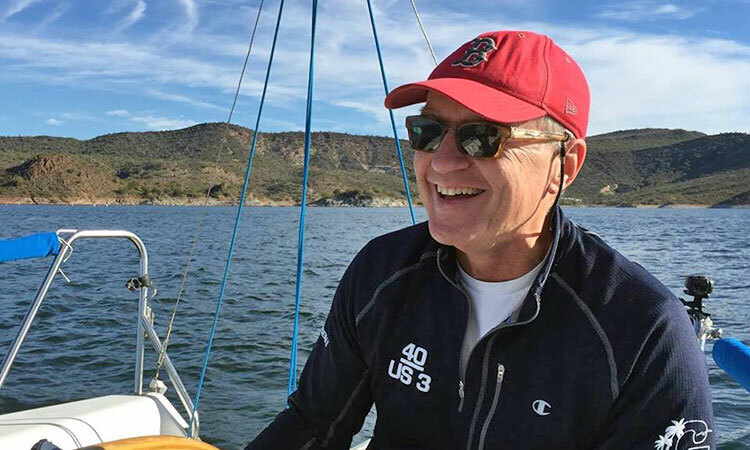 He’s active in the community and is past Commodore of the Tucson Sailing Club, organizer of this May’s San Carlos regatta. 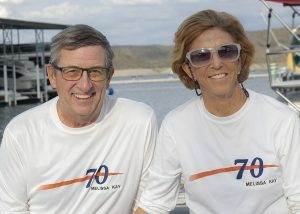 You’ll find Peter and wife Judy serving dinner after Saturday’s (4/22) Lake Pleasant racing as part of the Santana 20 fleet. Membership: Andy Oliver. 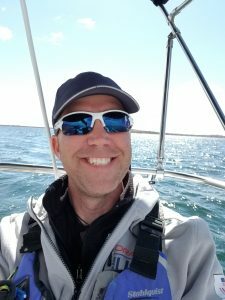 Andy is a Thistle sailor and has been one of the teachers for the Adult Beginning Sailing class for ASF. He’s also been helping Lori Reger greet people at the monthly meetings. Fleet Captain: George Sheller. 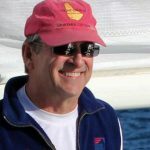 A semi-sorta-retired architect, George is a longtime AYC member, former Commodore, and current advocate for Laser sailing. Others on the ballot from the current board: Bruce Andress moving on to Junior Staff Commodore and Tom Errickson running again for Cruising Captain. Remaining on the board in the second year of two-year terms are Chris Smith as Senior Staff Commodore and Mark Howell as Membership Director. The new Board appoints a Treasurer and Secretary. Expect Tony Chapman and Scott Richards to fill those roles. Online voting will continue until 6pm May 8. Votes will be counted at the Caddy Shack at Rolling Hills at 6pm Tuesday, May 9, and you may present a written ballot in person at that time. 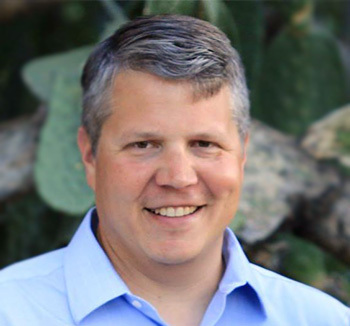 Members of AYC have elected the slate of candidates proposed for the AYC Board of Directors, headed by Chris Smith. 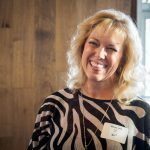 In addition, Cynthia Pillote moves to Senior Staff Commodore and John Riddell continues in the second year of a two-year term as membership chairman. At its first meeting the new board elected its final two members, Secretary Lori Reger and Treasurer Tony Chapman. The membership also voted to make a small change in the club bylaws that would affect new members’ dues. Effective immediately, in addition to the initiation fee, new members will pay dues prorated for the time remaining in the AYC year. 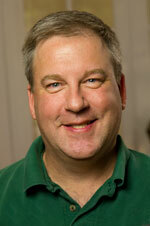 Peter Lehrach is the new AYC Commodore. Peter Lehrach and the rest of the slate of officers have been elected in the 2014 spring elections. All will officially take their seats on the board Saturday night (5/17) during the Commodore’s Celebration. Peter joined AYC just two years ago and has served as club secretary and Vice Commodore. 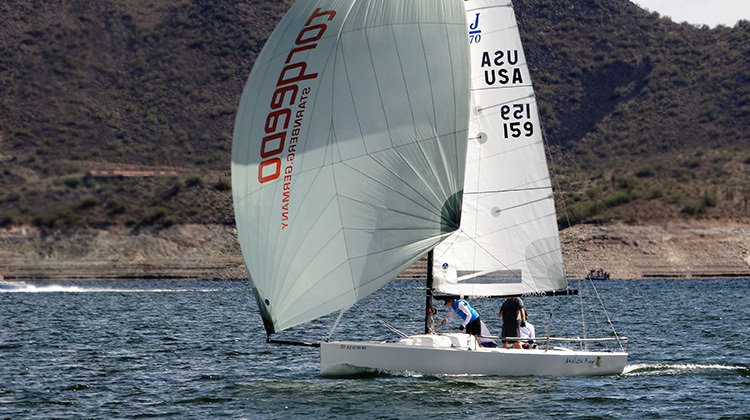 He’s raced at Lake Pleasant as crew on J/80s with both Mike Ferring and Chris Smith. He was the driving force behind AYC’s adopt-a-highway cleanup program, organizing cleaning parties for a stretch of Carefree Highway near Lake Pleasant. Others on the board are Senior Staff Commodore Mike Ferring, Junior Staff Commodore Cindy Pillote, Vice Commodore Christina Campo, Rear Commodore Chris Smith, Fleet Captain Steve Brown, Membership Directors John Riddell (two-year term) and Dianna Andress (one-year term), and Cruising Captain Tom Errickson. On Saturday, the board will select a Treasurer (Tony Chapman) and Secretary (Lori Reger). We thank the departing board members for their service to AYC: Emory Heisler, Thom Dickerson, Andrea Love, Ralph Vatalaro, and Greg Woodcock. Voters also overwhelmingly approved an increase in club dues from $125 per year to $150 per year, effective with the next renewal period. It’s been 10 years since AYC increased dues and 83% of voters approved doing it now. 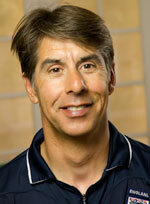 Peter Lehrach has been nominated to be the next AYC Commodore. In addition, the board selects a Treasurer and Secretary. Tony Chapman has agreed to continue as Treasurer and Lori Reger will continue as Secretary. Continuing on the board as Senior Staff Commodore, Mike Ferring. The nominating committee: Martin Lorch, Matt Davis, George Tingom, J.M. Kiel, George Sheller, Bruce Andress, Victor Felice, Chris Smith, Ben Doane, Mike Parker, Tom Errickson, Jeff Sloan, Cindy Pillote (non voting). A link to voting has been emailed to all the full members of record as of April 1. If you didn’t receive the link, contact Mike Ferring. If you requested a paper ballot, you’ll need to return it postmarked by May 9 or bring it to the counting session at the Caddy Shack by 6pm on Tuesday, May 13. With electronic voting, the counting takes about one minute, so don’t be late. Here are the results of a member survey conducted the week of February 17 about AYC finances. Seventy-seven members completed the survey, presented online using Constant Contact’s survey system. All responses were confidential. Members value membership. Is AYC worth the money you pay? The result is a resounding “yes.” Using a five-point scale, with one being “lousy” and five “outstanding,” respondents rate AYC 4.0 for the value they think they get for the money they spend. Breaking it down, 35% rate AYC’s value at the top score of 5; 42% rate it a 4; and just over 20% rate it a 3 or lower. Who are the 20% who don’t rate it as highly? Speaking generally, they’re people who don’t race (50% race vs. 72% of those who rate it higher), but there’s no pattern for how long they’ve been members of the club. Not surprisingly these people don’t think dues should be raised, but think racing fees should go up. And they’re more likely to say it’s more important for the club to cut costs than to raise revenue. 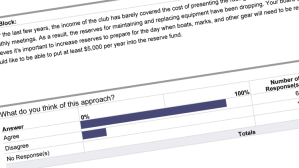 The AYC survey showed widespread support for building the cash reserves. 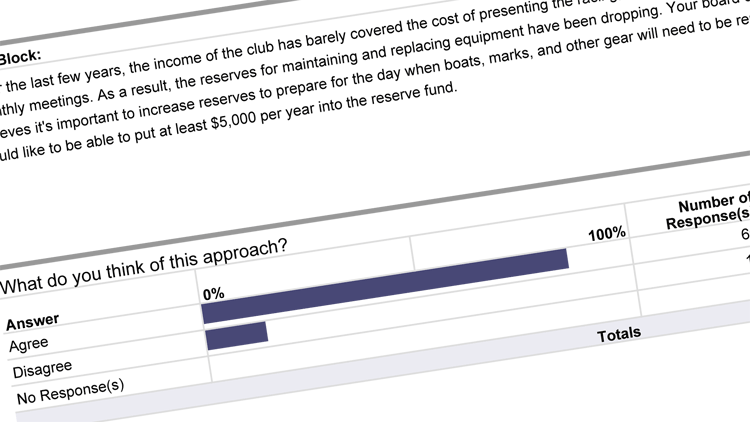 It’s reassuring to learn that members rate the club’s value highly, but the main purpose of the survey was to learn how members think the club should deal with dues, fees, and expenses. The survey found members overwhelmingly agree that it’s a good idea to try to increase financial reserves to be ready for the day when equipment needs to be replaced. 86% of the respondents think it’s important to build reserves. The few who disagree (14%) tend to be the people who think the club is poorly run or isn’t concerned enough about keeping costs down—or who simply don’t want to pay more money. 65% think it’s more important to raise revenue than it is to cut costs. 31% think the opposite. Over the last two years, the fleet captains have increased entry fees about 15%, with nonmembers paying even higher increases. Respondents believe racing fees should increase further by a high margin (62%-31%). 32% say raise them 10%; 20% say 20%; and 18% say raise them by 5% or less. Objections to raising fees? Mostly concern that higher fees would drive away entries. The club dues are $125/year and have not increased in some 10 years. Is it time to bump them up? 71% say they would support a dues increase. How much? 32% say raise dues to $150; 19% say $175; and 9% say $200. The ones who don’t want an increase are inclined to think that dues are high enough already or that if we would economize, an increase wouldn’t be necessary. The board will decide at its next meeting whether to submit a proposal for a dues increase to the general membership. The increase would need to be approved in a vote, probably at the same time as the next election of officers. Interested in learning more about how the club works? Here’s an explanation and link to the bylaws. And here’s the current budget. Our January Monthly Meeting will present a picture of the “State of the Club,” led by Commodore Cynthia Pillote and Treasurer Tony Chapman. Treasurer Tony Chapman will present information on the club’s financial condition. This is an opportunity for club members to get a full understanding of the club’s financial position, to ask questions and offer feedback on the direction we need to take for the future. The meeting is Tuesday, January 14, beginning at 7pm (but arrive early for dinner). Monthly meetings are held at the Caddy Shack @ Rolling Hills Golf Course, 1415 North Mill Avenue, Tempe, AZ 85281-1205 (map) and both members and non-members are welcome to attend. Here’s a copy of the 2013-2014 AYC budget for your review before the meeting. The election is underway for the 2013-2014 AYC Board of Directors. Most members have received an email notifying them to vote online, the first year this convenient method has been available. Nineteen members chose to receive mailed, paper ballots. The benefits of electronic voting are huge. It’s much less expensive and time-consuming for the club and it’s easier for members, taking only seconds and not requiring a 46-cent postage stamp. Continuing on the board are Emory Heisler, who will become Senior Staff Commodore, and Thom Dickerson, Membership Director. The board will also choose a Treasurer (Tony Chapman has agreed to continue) and Secretary (we’re open to suggestions). Electronic voting will continue until Monday, May 13 at 6pm MST. Paper ballots must be mailed to Mike Ferring, 525 W Monte Vista Rd, Phoenix, AZ 85003 postmarked May 9 or earlier or a ballot may be brought by the voting member in person at the time and place designated for the election. The votes will be counted at 6pm MST on Tuesday, May 14, at the Caddy Shack@Rolling Hills. 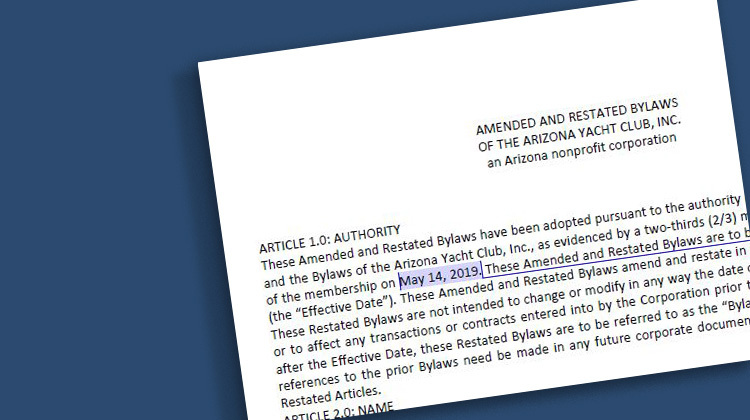 The AYC Board of Directors has taken a step that the club has been contemplating for years: Requiring that any driver of an AYC or ASF powerboat have a nationally-recognized certification for safe powerboat operation. The requirement kicks in January 1, but we’ll try to follow it immediately. Fleet Captain Greg Woodcock will come up with a list of certifications which will qualify and we’ll let you know what they are. This step would not be possible without the enormous contribution of Rob Gibbs, who has conducted two courses for US Sailing powerboat certification, most recently just last month, when 10 people received certification. The people who took the course heaped huge compliments on Rob for his effort and for the quality of the teaching. Our continuing thanks, Rob, for all that you do for the club. 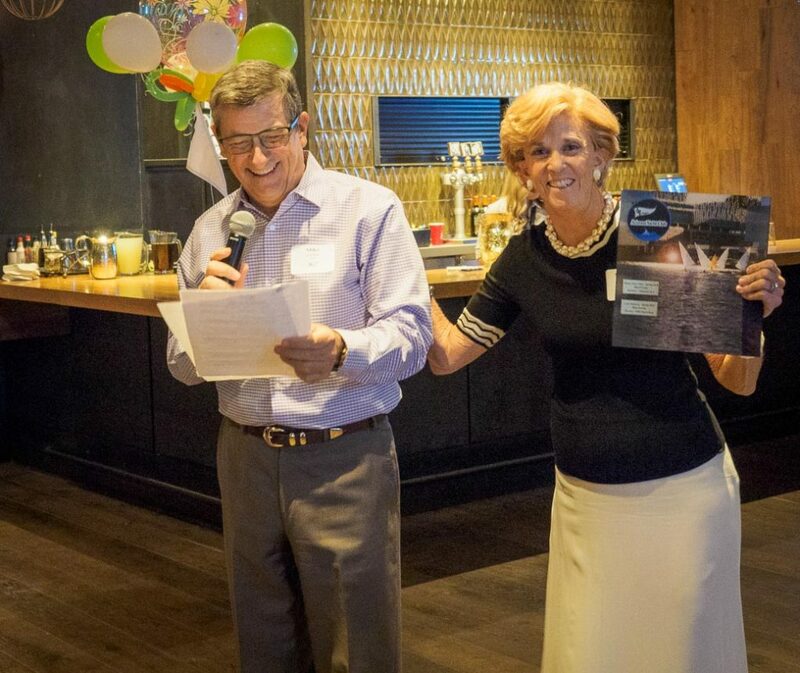 And we thank the board of the Arizona Sailing Foundation and its president John Mayall for underwriting the cost of the materials for the powerboat course. Rob will lead another class on December 14, 15, and 16 and there are still openings for that class (as of 12/1). The AYC board recognizes that the new requirement won’t prevent accidents or mistreatment of equipment, but clearly it should help. It’s been a constant problem maintaining ASF and AYC boats in prime condition. Most important, we believe this step will reduce the chance of a powerboat injury, which no one wants to see. The AYC Board of Directors is proposing two changes to the club bylaws and voting on the changes will happen at the same time as the election of a new Board of Directors. To extend the age eligibility for Junior Membership from the current 21 to 25. The intent is to try to draw more Junior Members, including more college students. Junior Members may not vote in elections, but can carry membership cards and enter club races as members. To permit electronic voting in club elections. It’s now possible to conduct secure, online elections, reducing the difficulty and cost of conducting the annual club election, which the bylaws require be done by mail. As of this time, all but two or three club members have email addresses and online access. The change in the bylaws would allow these few members to continue to vote by mail, if they wish. Here is a PDF of all the changes. 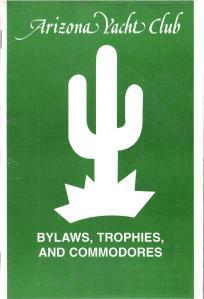 And here is the link to the current bylaws. The Board unanimously recommends passage of the changes. Mailed ballots will go out after the first of April. The Arizona Yacht Club Board of Directors Election Nominating Meeting will be held March 8, 2011 at 6pm immediately prior to the March General Membership meeting. Eligible members interested in volunteering to run for election to AYC Board of Directors positions, or that would like to nominate eligible AYC members should see their ACTIVE Fleet Captain, Cruising Captain (acting) Mike Parker or Commodore Joe Motil to participate in the Nominating Committee or to submit nominations. January minutes updated to reflect May 14, 2011 as Commodore’s Ball. Approved by Pillote motion, Harlow 2nd, unanimous. Awaiting final Birthday Regatta expenses for next report. Bernie Armstrong nominated. Approved by Heisler motion, Motil 2nd, unanimous. After adjournment an open discussion was held with guests about AYC current issues (i.e. open board seats, declining membership) and ideas for improvement (improved communications, non-racing activities). Participants: AYC BoD attendees, Guests: Tom Ohlin-Former Commodore, Dennis Lynde-Former Commodore, ASF: John Mayal, Greg Dean, Lisa Lake, Leo Baumann, Natalie Harper, George Tingom. – December minutes provided by C. Pillote. Approved by Heisler motion, Parker 2nd, unanimous. – Bob Hastings, John Healy nominated. Approved by Heisler motion, Jackson 2nd, unanimous. – LP Maricopa County Fees remaining within budget. – Birthday Regatta ready. Reviewed volunteer schedules. – 2011-2012 Board Planning Meeting ideas discussed. 2/1/2011 meeting will include invited guests of ASF Board, Candidates for 2011-12 AYC Board, Former Commodores for planning.